Little did Anthony Cade suspect that an errand for a friend would place him at the center of a deadly conspiracy. Drawn into a web of intrigue, he begins to realize that the simple favor has placed him in serious danger. Delightful to listen again and again. Mrs. Packington felt alone, helpless, and utterly forlorn. But her life changed when she stumbled upon an advertisement in the Times that read: "Are you happy? If not, consult Mr. Parker Pyne." 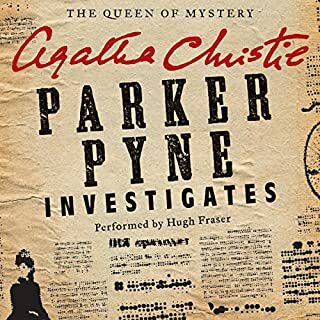 Equally adept at putting together the fragments of a murder mystery or the pieces of a broken marriage, Mr. Parker Pyne is possibly the world's most unconventional private investigator. Armed with just his intuitive knowledge of human nature, he is an Englishman abroad, traveling the globe to solve and undo crime and misdemeanor. A classic from the queen of mystery: Agatha Christie. "Anyone who murdered Colonel Protheroe," declared the parson, brandishing a carving knife above a joint of roast beef, "would be doing the world at large a favor!" It was a careless remark for a man of the cloth. And one which was to come back and haunt the clergyman just a few hours later - when the Colonel is found shot dead in the clergyman's study. But as Miss Marple soon discovers, the whole village seems to have had a motive to kill Colonel Protheroe. Christie's Story+Grant's Performance = Great Book! Sir Claud Amory has discovered the formula for a new powerful explosive, which is stolen by one of the large household of relatives and friends. Locking everyone in the library, Sir Claud switches off the lights to allow the thief to replace the formula on the table, no questions asked. 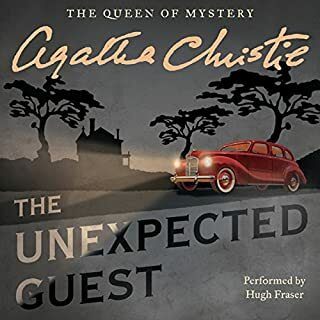 When the lights come on, however, he is dead, and Hercule Poirot, with assistance from Hastings and Inspector Japp, has to unravel a tangle of family feuds, old flames, and suspicious foreigners to find the killer and prevent a global catastrophe. I thoroughly enjoy a good cozy mystery. 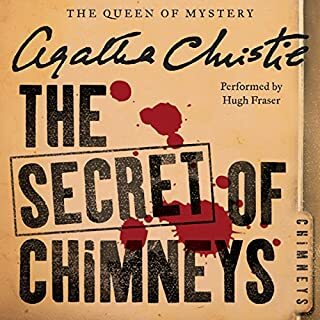 This particular audio book outshines even my other favorite Agatha Christie mysteries. Quite possibly because it was written as a play; rather than a novel. The performance is excellent. I only wish those idiot Directors of the David Suchet Christie novels would just produce the real stories, instead of thinking they are better than Agatha, and creating those absurd movies. She is the Queen of crime fiction and Suchet would be so awesome portraying the little detective in the real stories she made internationally famous! As always, a fabulous story! Excellently performed by John Moffatt. 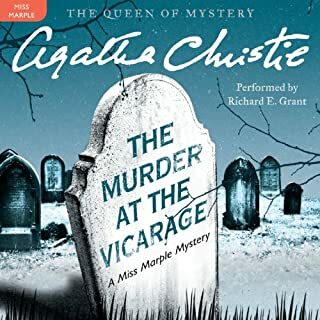 If you’ve listened to books by Agatha Christie and Charles Osborne before, how does this one compare? 'Black Coffee' has some novelty value as a Hercule Poirot mystery, being a story that not every Hercule Poirot fan would be familiar with. However, for me this story is not as good as Agatha Christie's own Hercule Poirot novels. 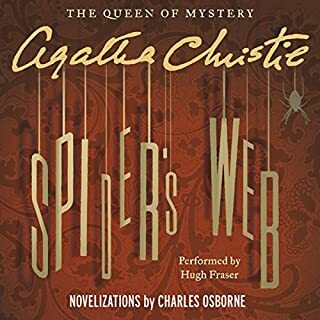 Three of Agatha Christie's stage plays have been novelised by Charles Osborne so far (the other two being 'The Unexpected Guest' and 'Spider's Web') and of those three adaptations, 'Black Coffee' is my least favourite book. It's not actually a bad story, it's just that Charles Osborne's writing style differs from Agatha Christie's. What about John Moffatt’s performance did you like? This is a well narrated audiobook. John Moffatt does a good Hercule Poirot, of course, having played the role in the majority of the Hercule Poirot radio dramatisations produced by the BBC. 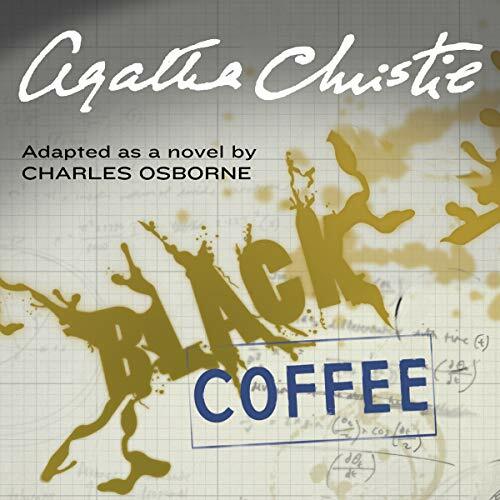 Listening to Black Coffee I came to the conclusion that there was a reason that it was never adapted in to a novel by Agatha Christie herself... it was a meant to be performed on a stage and not read as a novel. Also, Agatha Christie had used part of the actual solution in one of her novels! This isn't a proper Agatha Christie book. 'Black Coffee' was originally a play that has been adapted in to a novel... and it shows. Although for Agatha Christie fans this is an additional Hercule Poirot/Captain Hastings adventure that can just be enjoyed for what it is. A mildly entertaining mystery with a simple plot, but not classic Poirot by any means. Really enjoyed this with John Moffat 's narration it bought the text to life. If you like Christie's work then you should hopefully enjoy this. 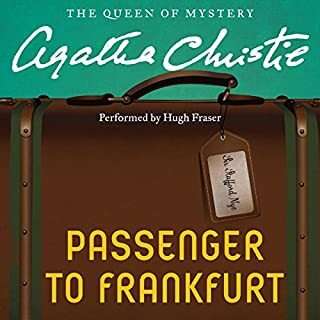 I could tell this was not written by Agatha Christie, but having never seen the stage show, I cannot tell whether the repeated motifs from other stories were original to the play, or have been introduced by the adapter. John Moffat's usual suave performance as Poirot, which manages to stay just short of parody, but is still true to the eccentricity of the little Belgian with the egg shaped head. I enjoyed listening to it very much and how all the characters were bought to life. Another classic Poirot mystery, brought to life by the narrator. His character voices are well thought out, which makes the whole story most enjoyable. A scientific research project is complete results but the scientist believes that somrime soon something is going to happen to him or the formular can Poirot stop this????? Excellent naration from JM great voices and captivating hope others will enjoy this addition to the Piorot mysteries. Listening to this audiobook I feel like I am watching a play with the action unfolding on stage with me spellbound in the audience. However, the way in which the story is written makes you feel as if you are there in the room where the drama unfolds. The lights go out and you witness the actions of those left alive as they try to protect others and themselves, before Poirot solves the case. It is a gripping yet respectable tale like many others featuring the impeccably moustached Mr Poirot. I only wish that it had been longer, but I listened to it again and enjoyed seeing the details more clearly.